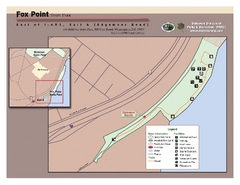 Detailed map and clear legend for this nice state park. 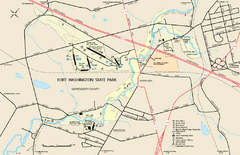 Map of Fort Washington State Park in Pennsylvania. 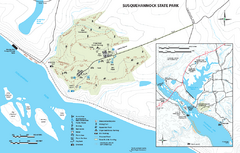 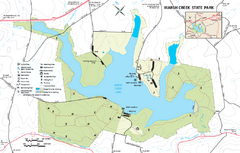 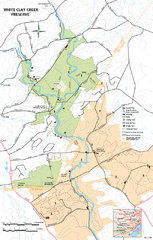 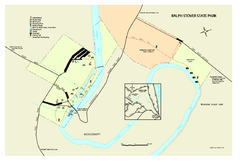 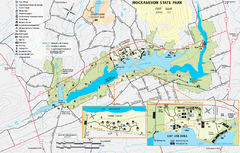 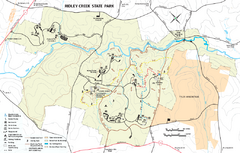 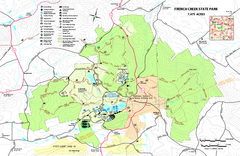 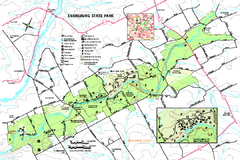 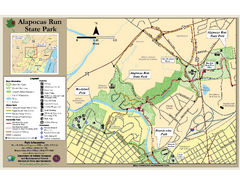 Detailed map of Marsh Creek State Park in Pennsylvania. 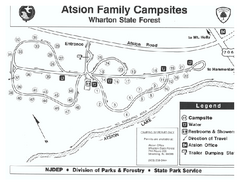 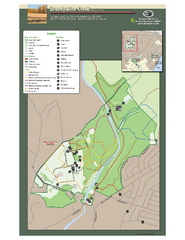 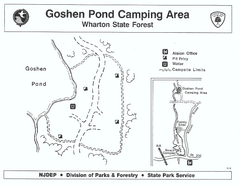 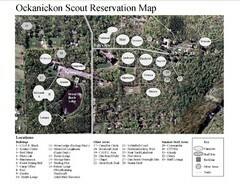 Camp area map for Goshen Pond in Wharton State Forest in New Jersey. 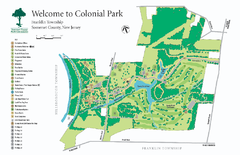 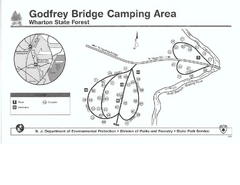 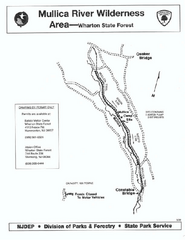 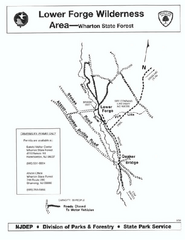 Map of Godfrey Bridge Campground in Wharton State Forest, New Jersey. 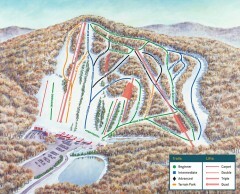 Trail map from Spring Mountain Ski Area. 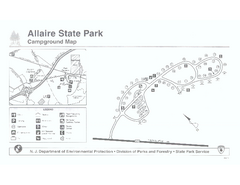 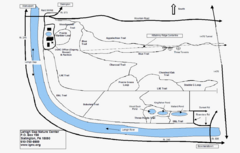 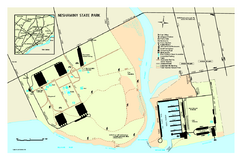 Camp area map for the Mullica River camp area in Wharton State Forest, New Jersey. 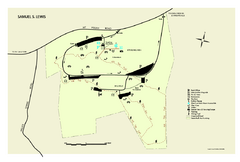 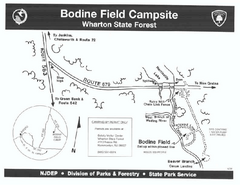 Map of Bodine Field camp area in Wharton State Forest, New Jersey. 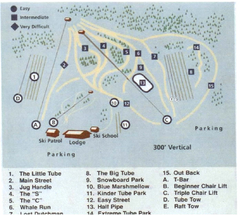 Official ski trail map of Bear Creek ski area from the 2007-2008 season. 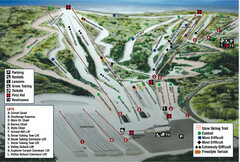 Trail map from Bear Creek Ski & Recreation Area. 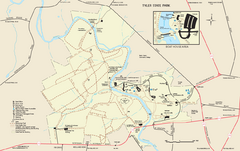 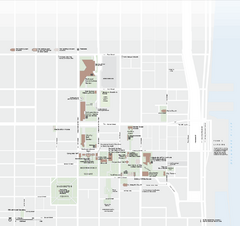 Official park map of Six Flags Great Adventure, New Jersey. 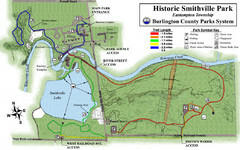 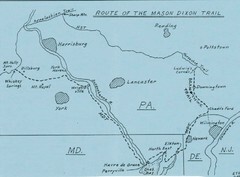 Trail map from Blue Marsh. 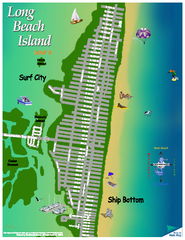 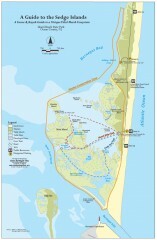 Trail map of the Barnegat Bay region of New Jersey. 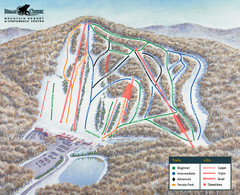 Trail map from Blue Mountain Ski Area.